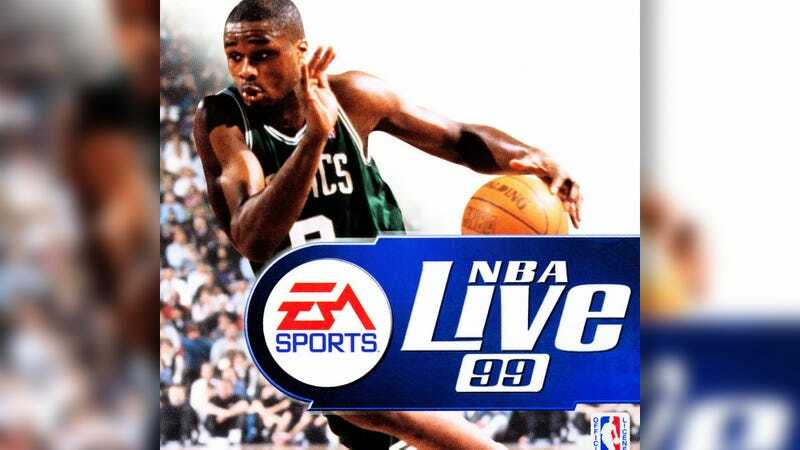 Most video game developers use their massive platform at E3 to make announcements about future releases, but one brave company at the expo decided to take some time to atone for its past: EA Sports just spent the entirety of its E3 presentation apologizing for putting Antoine Walker on the cover of NBA Live 99. Speaking before a packed house of fans, media, and industry heavyweights, EA CEO Andrew Wilson spent over half an hour this morning expressing his “deep and profound” regret over his company’s decision to choose an unproven, generally unliked third-year player on a last-place team as the cover athlete for the 1999 installment of its NBA Live series. He claimed that the company had grossly overestimated the Boston Celtic forward’s star power and marketability at the time, not realizing that his legacy would eventually be defined by abysmal shot selection, terrible financial decisions, and poor fitness. Absolutely beautiful. It’s incredibly encouraging to see a company owning up to its missteps, and here’s hoping it will encourage other game developers to take accountability for their actions in the future.